The Federal Railroad Administration (FRA) has scheduled an Open House in Springfield for the purpose of providing information on the NEC FUTURE Tier 1 Final Environmental Impact Statement (EIS). The Open House will be held on Wednesday, January 25th from 4 p.m. – 7 p.m. at the offices of the Pioneer Valley Planning Commission, 60 Congress St, Springfield, Ma. Members of the public are welcome to come at any time during this session to view informational displays and talk with the NEC FUTURE team. Please note this is not a public hearing; rather it is a chance for the FRA to share information and answer questions in an informal setting. The open house will not include a formal presentation or an opportunity for public testimony. 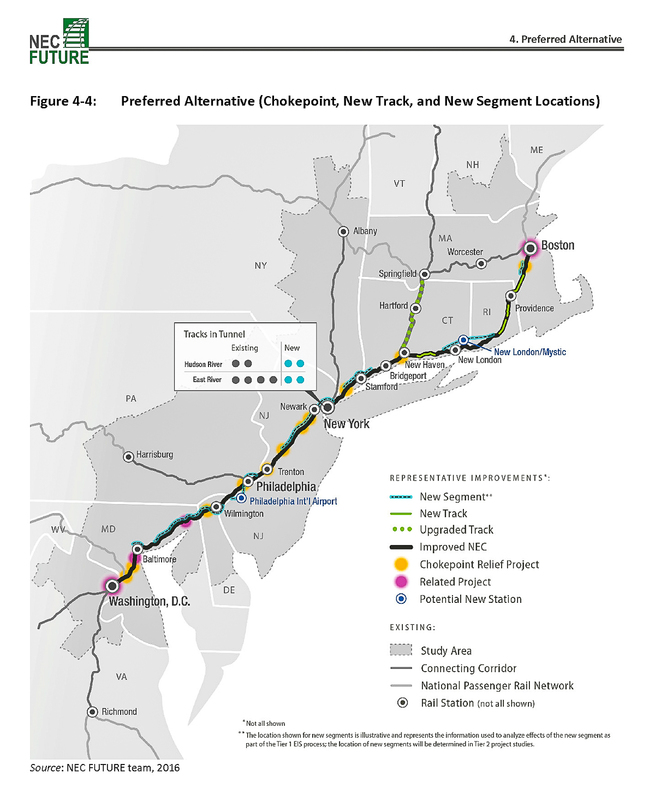 The NEC FUTURE plan is designed to create a framework for the future investments needed to improve passenger rail capacity and service on the Northeast Corridor through 2040. The proposed alternatives in the Final EIS include significant upgrades to the route between New Haven and Springfield, above and beyond what is currently planned for the Hartford Line service which starts in early 2018.